These few weeks, I have been received calls and emails everyday requesting for Halloween makeup. The events happening around Singapore this year, seems to be geared very much towards Zombie. It's seriously Zombie craze everywhere. 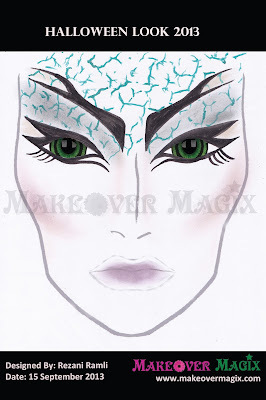 And so to be different, here's a proposed makeup that I hope can inspire you. Come on let's look like an alien or some weird creature instead of Zombie. 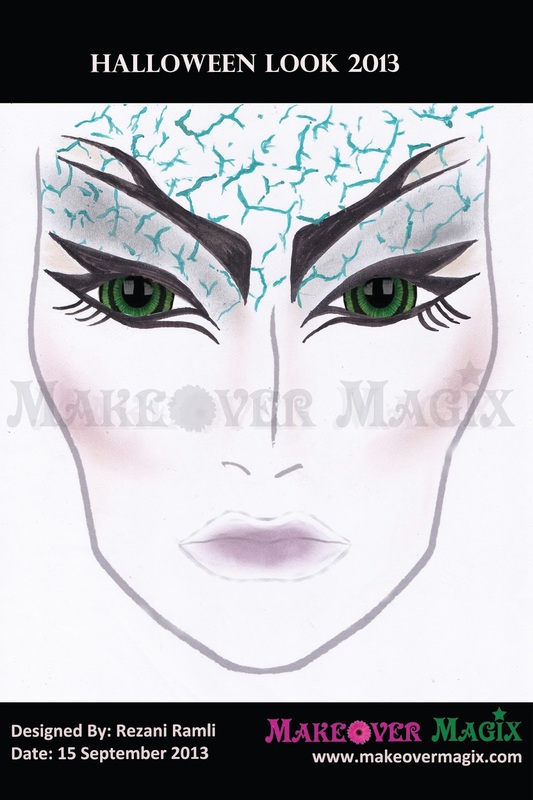 So here you go..the face design and products I use to create this look.